Up to that point, things had been going well for the French and their armies looked to capture Vienna and take the Habsburgs out of the equation. Marlborough changed all that, but only after lying to his Dutch allies and virtually “stealing” the army he marched 250 miles away from the Low Countries he was expected to protect. The battle went back and forth, with each side having opportunities for success but seeing confusion and heavy losses confound good plans. 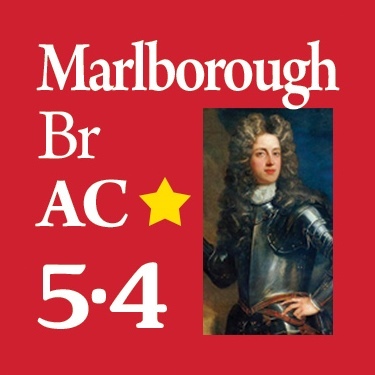 Certainly Marlborough and Eugene worked together marvelously well, especially for allies, which may have been the key difference. Tallard and Marsin and the Bavarians had their chances but missed them, needing infantry where they had cavalry and cavalry where they had infantry. When the British attacked the “seam” between the two forces, Marsin’s regiments fell back and Tallard’s collapsed. French losses were heavy, and their army’s aura of invincibility was gone forever. Though the war would continue for over 10 more years, Blenheim rates as “decisive” because this cost Louis the chance to knock the Habsburgs out of the war early. Instead, it would be his Bavarian allies who would lose out and become vassals to Vienna. 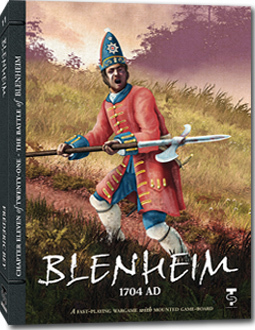 The Battle of Blenheim focuses on the battlefield area itself, with each side having two distinct commands and forces. 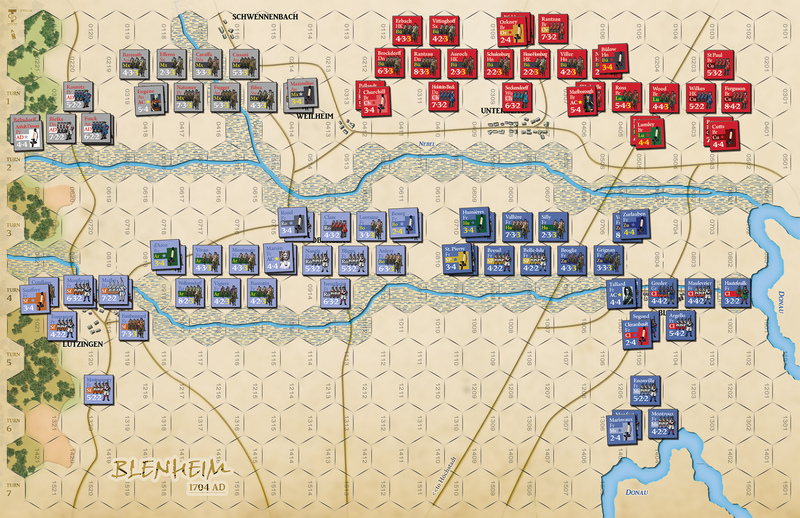 Players will command the varied forces of each side, with British, Dutch, Austrians, Prussians, Danes, and various German allies on one side and French, Bavarians, and even Irish fighting for Louis. 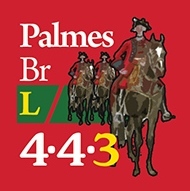 Each unit in the game represents one brigade with each combat strength point around 400 men or 200 horses. One hex on the map equals 400 meters. A turn represents around one hour of action and the game can last up to 7 turns. In the end, the war would end as countries spun into exhaustion and a number of rulers died from age or sickness, making separate treaties that were finally consolidated under the Treat of Utrecht. France would not dominate the continent and, the most visible effect to us today, Britain still possesses Gibraltar. 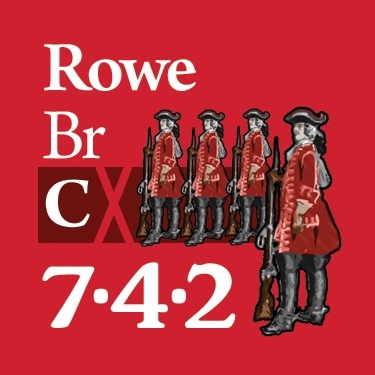 Can you, as the Allies, match this great victory and make England a first-rate power? Or will you, as the French, extend the domain of the Sun King and reduce the impact that the Churchill family (Marlborough’s name) would have on English history? About the Designer: Frédéric Bey is a graduate of the Rouen Business School and also of the Paris Pantheon-Sorbonne University majoring in Roman history. A specialist in Napoleonic and Roman history, Bey is the author of a large number of articles on strategy in the ancient world and on the Napoleonic Wars which have appeared in Guerres & Histoire, Histoires de France , La Revue Napoléon, Prétorien, Traditions and Against the Odds Magazine. 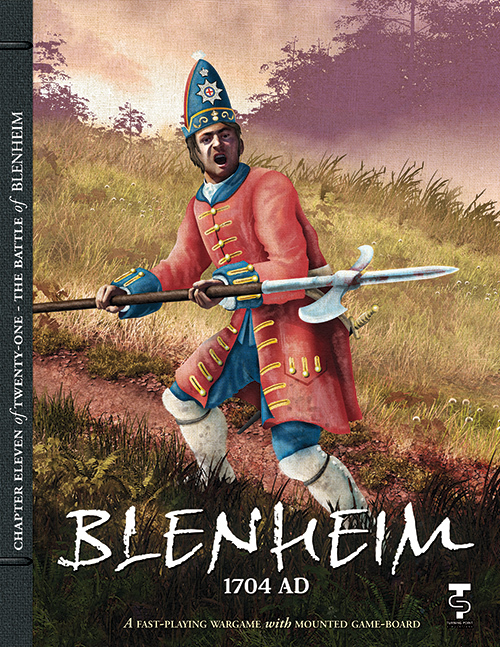 His published wargame designs cover ancient, medieval and Napoleonic military history. They have been showcased in the French Casus Belli and Vae Victis magazines as well as in several American magazines, such as C3i.